Are reduced fares on the way for users of LADOT’s TAP on DASH bus service? The LADOT recently held public hearings seeking comments on proposed new Electronic Payment Incentive Fares along with sharing new Disparate Impact and Disproportionate Burden Fare Policies that it says “are supportive of the incentive fares, and also establish criteria for how fares would be raised in the future”. 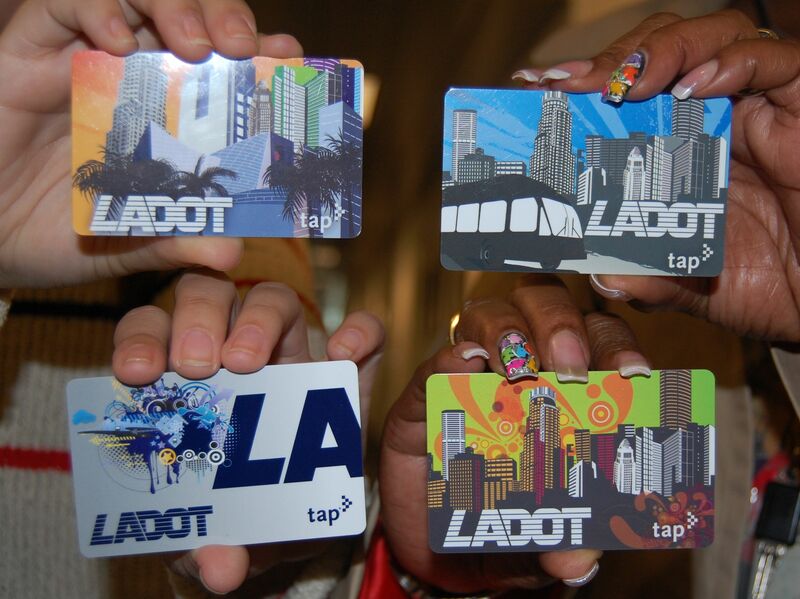 The implementation of the Los Angeles Region’s TAP smart card system has enabled LADOT to offer new pricing options to riders that were not available with LADOT’s existing passes and tickets. LADOT’s demonstration of mobile ticketing, through the use of smart phones, will also support these proposed fare options. That mobile ticketing demonstration, called LA Mobile, will take place in Fall 2014. LADOT is proposing to reduce its DASH single-ride fare from 50 cents to 35 cents if a rider uses a TAP card to pay the fare. The 30% discount is intended to lure riders to using the TAP card that provides multiple benefits including the ability to protect the card balance from loss or theft. Additionally, when multiple passengers pay their fares using a TAP card, it makes boarding the bus quicker. Through the introduction of the Electronic Payment Incentive Fares, LADOT is seeking to reduce rider use of cash to pay fares. LADOT pays a high price to collect, handle and reconcile cash payments. Policy wonks who want in-depth information can examine the fare equity analysis LADOT has posted. I am working to have stakeholder groups like Southern California Transit Advocates and the Transportation Committee of the Sierra Club Angeles Chapter endorse this. It occurs to me to help make it happen that there would also be value in having DASH users who read this blog send LADOT an e-mail expressing support for the discount proposal. They can be sent to hearingofficer@ladottransit.com. BTW, buried on the LADOT website is a fascinating piece by former Assistant General Manager John Fisher titled Transportation Topics and Tales: Milestones in Transportation History in Southern California that some with an interest in the history of transportation in our region may find of interest. You need to change the headline on your link–this is a proposal by LADOT for the DASH system, not Metro. Yikes! I’ll have that corrected.